Whats going on dance music fans? Tonight we are bringing you something very special from up and coming artist Sebastian Park. 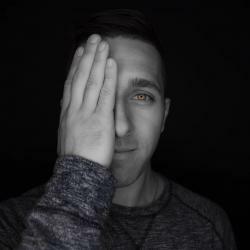 His newest releases, Sunrise brings a brand new, taste making level of track production to the electronic dance music world. Sebastian Park brings together meshes of house, tropical, pop, and deep house to create a brand new original track that features incredible melodies that catch you humming along by the second chorus. The lyrics are completely on point and really add to the overall experience of the listening. This track could be perfect for radio play, club play, or even festival play if fitting into the right setting. Really awesome job by Sebastian Park! We can't wait to hear more from this incredible, young artist in the future! Twitter - @KristopherNovak Vice President of Media & Events Please send all releases / press requests to: KRIS@edmsauce.com Thanks!